Cooler weather always means soup to me. I love making a big pot of yummy soup to help with meal planning for the week, either as a heat and eat on weeknights, a grab and go lunch in my thermos, or freeze in single servings for a future day when I need some homemade soup to help me through a cold. 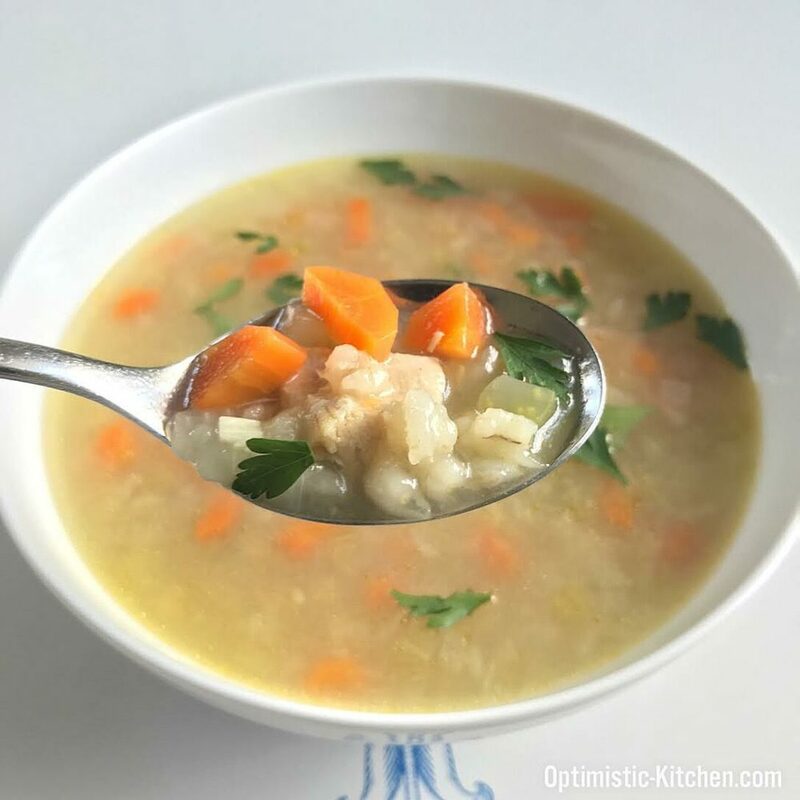 This Chicken Barley Soup is sure to be your next go to soup as well. 4 sprigs fresh thyme & 2 sprigs of parsley, tied together with a small piece of kitchen twine. Add carrots, celery, onion, and sprinkle with salt & pepper and allow the vegetables to sweat, stirring occasionally for 3-5 minutes, until they start to become tender. Add garlic and cook an additional 2-4 minutes, stirring frequently until the vegetables are tender. Stir in stock, add herb bundle, and bring to a boil. Add Mochi Barley, stir, and reduce heat and cover pot. Simmer with a lid for 30 minutes or until you are ready to serve. Remove herb bundle, taste and adjust for seasoning, if needed. Serving it topped with some fresh herbs (parsley or chives work very well) will add a pop of color to the eye and a pop of freshness to the soup. 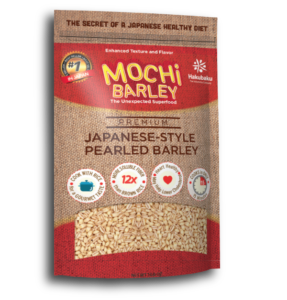 While the Mochi Barley only takes 15 minutes to cook, its texture stands up to prolonged simmering or reheating, making it a perfect addition to soups. You can easily substitute the chicken for a drained and rinsed can of Canelini beans and use vegetable stock to make this a Vegan recipe! Toast the Mochi Barley in a dry pan on low heat for 5 minutes or until grains become golden brown and fragrant before adding it to the recipe. It will add depth of flavor with a toasty nuttiness that makes it extra delicious! I prefer using grains, like barley in soups because, not only does it add nutrition and fiber, but the texture of the grains hold up to being in the soup for longer than a day, unlike rice or pasta. I hope that you’ll try this recipe to incorporate into your rotation for the coming soup season! Happy Eating! Check out some of our other soup recipes as well!